This safari begins in and ends in Johannesburg, South Africa. Airport meet and Greet. Just look out towards the information desk located in the arrivals hall for your pick-up with your name on it. Depart road transfer to Madikwe game reserve. Drive is around 4 hours. 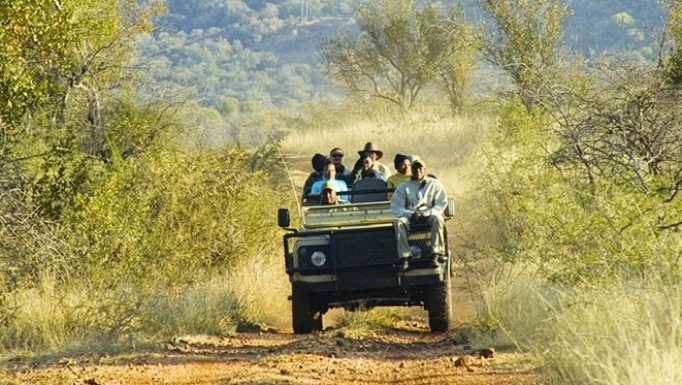 The Madikwe Game Reserve is a protected area in South Africa, part of the latest park developments in the country. Named after the Madikwe or Marico River. The Camp is set within the canopy of the riverine forest on the banks of the Marico River, in the Eastern portion of the beautiful Madikwe Game Reserve. This treetop lodge has been built to blend in with the nature that surrounds it and allows guests to truly unwind and enjoy their peaceful surroundings. The main lodge consists of an open plan lounge, dining and reception area with a pool and bar area close by. Enjoy the panoramic views from the traditional lapa that is set in the forest glade. This camp is a tented safari camp. The camp comprises of 12 en-suite, tented suites, each with their own private viewing deck overlooking the Marico River. The tents are large and spacious and have a strong Afro-Asian ambience to them. All of the suites are air conditioned to provide guests with comfort during the hot summer months. Folowing morning game drive and breakfast, you will be transfered by road to your next camp. A wooden bridge spanning a ravine leads to the Lodge, set in a prime position in the west of the malaria-free Madikwe Game Reserve overlooking the sweeping bushveld to the distant hills. This community-inspired Lodge represents local community upliftment, providing sustainable employment and management opportunities. Built from timber, stone and thatch, the main Lodge is set on different levels with panoramic views and was designed to blend with the beauty of the natural surrounds. Meet members of the Balete tribe, whose passion for the Lodge ensures a friendly welcome in this relaxed environment. Natural hues of colour and texture are reflected in the lodge and thatched chalets. Each chalet has its own deck providing guests with expansive views to the north, where sliding doors frame the views, and each bathroom has a shower with a glass sliding door to allow the outside in. 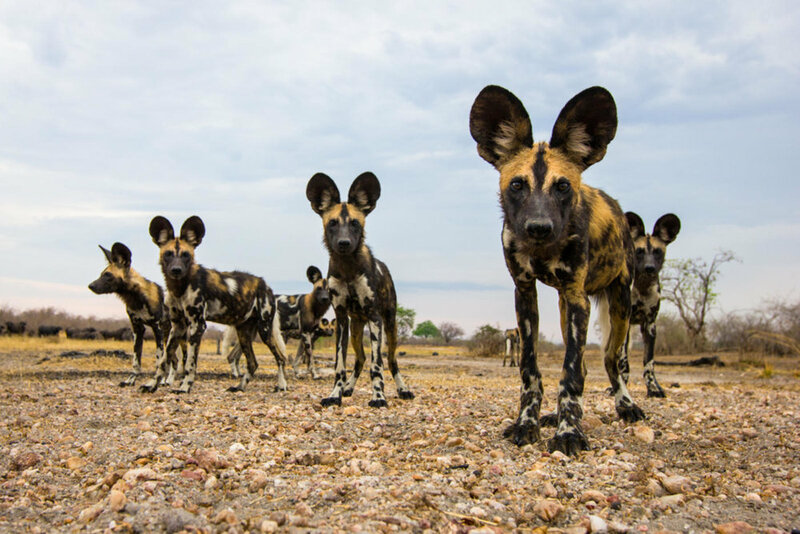 In the heart of this Big Five reserve, guests are treated to an exciting safari experience, with the opportunity to spot the rare wild dog. Relax at the swimming pool on the top level soaking up the views, unwind with a book, and enjoy the delicious food in this convivial setting. 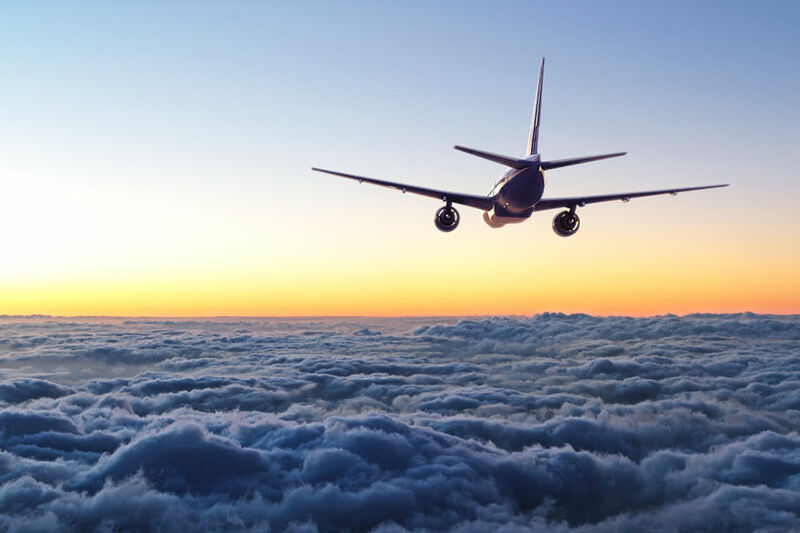 Return road transfer back to JNB airport for your flight back to the USA!